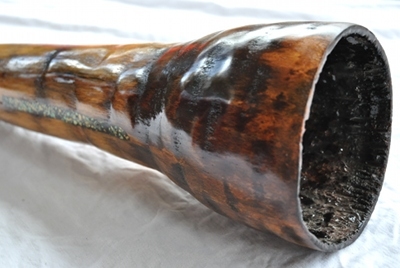 This is a real lively didge with lots of character. Nice backpressure and vocals and loves to play fast wobble like rhythms. 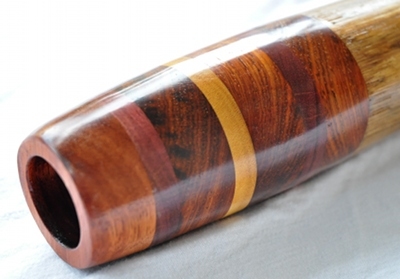 The mouthpiece has some amazing wood combos and the french polish really pops the wood. Being a very old stalk I have inlaid a lot of turquoise throughout to appeal to the player both sonically and visually.